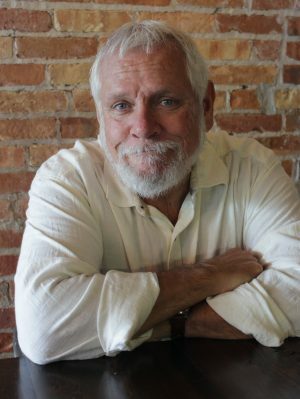 Cayuga Community College Professor Emeritus Jeffrey Delbel received the People’s Choice Award in the Downtown Writers Center’s CNY Book Awards for his 2018 work “Salvatore.” It is the second straight year he has received the award. 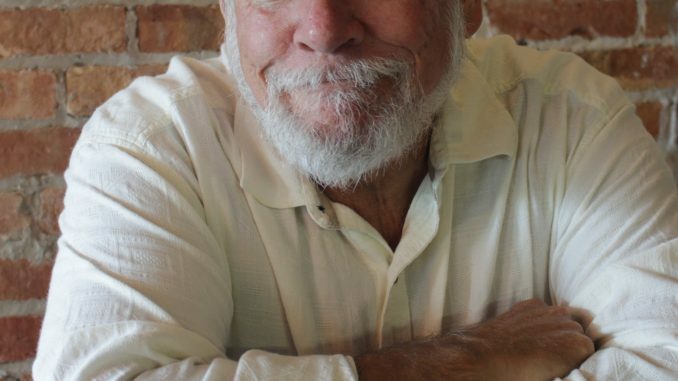 A former dean and a long-time faculty member at Cayuga, Delbel published his first novel, “The Flight of Jimmy Eagleson,” in 2017 and received the People’s Choice Award in the Downtown Writers Center’s CNY Book Awards. He followed up that first success with a sequel, “Salvatore,” which earlier this month received the 2018 People’s Choice Award. Authors and other members of the Central New York literary community vote to determine the recipient of the People’s Choice Award. Delbel’s “Salvatore” was selected out of almost 50 nominated works of fiction and nonfiction. “To have been again supported by the literary community present at the awards reception is most gratifying. There is a great writing community in Central New York that produces strong works of fiction and nonfiction, so it is a high honor to receive this award for the second time,” said Delbel. Delbel served as a professor and dean of Cayuga’s Telecommunications Program before becoming the College’s Dean of Enrollment and Student Development in 1986. He returned to the classroom in 1996, and continued teaching until retiring in 2008. As a professor emeritus, he continues to teach courses in communications and philosophy. The second novel of a series, “Salvatore,” was finished much faster, with Delbel finishing the novel about the “big, gladiatorial man who is brilliant and rich” before his first novel was published. Set in 2008, five years after “The Flight of Jimmy Eagleson,” “Salvatore” follows the titular character as he battles his own past, economic misfortunes and family strife on an odyssey that takes him from his home along Lake Champlain to London, Amsterdam and India. Delbel described both “The Flight of Jimmy Eagleson” and “Salvatore” as character-driven novels that nevertheless feature strong plots and many of the same characters. The books also deal with complex issues, including the relationships of fathers and sons, discovering the inaccuracies of long-held assumptions and how economic, environmental and political events impact people. The third novel in the series, “Kate’s Gift,” is already in the works, with Delbel saying he expects it will be released in the fall of 2019. The book will focus on a psychologist who is a major character in each of the first two novels and her efforts to help her friends resolve their internal and external conflicts. For more information about Delbel and his books, visit https://www.jeffdelbel.com.